Capsule: The Nethin system, in Conheav sector, is home to a humanoid race known as the Noqtuar. The Noqtuar have colonized virtually every large body in the system, and though they have extensive interplanetary travel, they have no knowledge of hyperspace. Due to a computer error when the original survey of this system was filed hundreds of years ago, all official records of the Nethin system state that it consists of a red giant star with no planetary bodies. Roughly 20 years ago a scouting expedition jointly funded by Moff Lesbeat and Lobic Arms, an arms company based in the sector. Lobic Arms, which specializes in developing new weaponry systems and then subcontracting them to the manufacturing giants, was looking for a nearby test site for new weapons. The Nethin system proved to be perfect. The Noqtuar who inhabit the system have been engaged in a bloody war for about 70 years. Some of the colonies have formed themselves into the Free Noqtuar Alliance (FNA) in an attempt to gain independance from Noqtin, while the rest of the system is controlled by the Homeworld Preservation League (HPL). The war efforts rely heavily on intelligence, long range sensors, and other such methods. When a strike force is launched from Noqtin, for example, it will take hours to reach Jandin, and such an event will often become a race to see whose forces can arrive at the strike point first. Convoys are in wide use among both sides, but especially with the FNA, and the routes and schedules of these shipments are closely guarded secrets since both sides engage in extensive commerce raiding. When the Lobic scouts discovered this situation it was decided that the Nethin system would be a great place to work out the bugs of new weapon systems in actual combat situations while, because of the fact that the system is unknown to the galaxy at large, maintaining secrecy regarding new weapons concepts. Lobic Arms has been selling new weapons to both sides in the Nethin conflict ever since they first made contact, sometimes sending observers along to record the performance of these weapons. The Noqtuar pay for these weapons with valuable metals and gems, a portion of which is given to Moff Lesbeat in order to keep the Empire from getting involved. Lobic Arms payed a great deal to have the Nethin system declared off limits to everyone but the Imperial navy and Lobic Arms employees, and all astrogation charts to the system have been destroyed, save for the closely guarded ones that the Lobic execs and Moff Lesbeat own. Lesbeat and the executive commitee of Lobic Arms both decided that the Noqtuar should not be allowed access to hyperdrive technology. The FNA and the HPL both do their best to please the Lobic representatives since both factions wish to convince Lobic Arms to sell arms only to them. What most Noqtuar don't realise is that it is in Lobic's best interests to keep the two factions at war and evenly matched. If the war were to cool down Lobic Arms would lose a valuable testing ground as well as a rich market for their wares. Some highly placed Noqtuar officials in both the FNA and the HPL realise this, but niether side will mention it as niether one wants to risk losing the support of Lobic. There are many ways to get characters involved in the Nethin system. Perhaps a rival arms company hires them to gain intelligence on a new design by Lobic, or perhaps they are attempting to expose some of Lesbeat's corrupt behavior and find some references to the Nethin system. If the characters are in space and forced to make a blind hyperspace jump they could arrive in the system by accident and discover the situation. Another possibility is that the characters could be hired by Lobic to either serve as crew on one of their vessels in the system, or to serve as observers. In any case possibilities abound in this system for the characters to make an enourmous difference in the lives of billions of sentients, since they could possibly tip the balance either way in the war, or expose Lobic Arms for the profit hungry opportunists that they are. It is even possible for the characters to introduce the Noqtuar into the galactic community, and possibly stop the war. Capsule: Jandin is one of the most important planets in the FNA, indeed it even serves as their military headquarters. All of the settlements on Jandin are underground, except for starport domes, as the atmosphere is virtually non-existant. What little agriculture exists on this planet is in the form of hydroponics, and accounts for a mere 40% of the food required by the population. For the rest of the food Jandin relies on convoys from the third planet in the system, Fanjin. Due to the ongoing war in the system, the regularity of these convoys cannot always be relied upon, and because of this the entire planet has been working under a food rationing system for close to 50 years. Jandin is rich in minerals of all types, and is extensively mined. The minerals extracted are then processed in the massive underground refineries and factories into all sorts of usable goods, but primarily war materiels, which are then sent in convoy to all parts of the Alliance. There are 23 major underground cities with spaceports on the planet, all of which are located near especially rich deposits of minerals, and all of which are connected via a massive underground network of railways. Space is always at a premium, no matter where on Jandin you happen to be, as all usable space must be hollowed out of the rock. Most residential and commercial areas of the cities are carved out of played-out mining tunnels. One advantage to this arrangement is that it makes orbital bombardments much more difficult, but if sufficient force is used to collapse the tunnels the death toll can be in the hundreds of thousands. The Noqtuar who live on Jandin have lived in these unbearable wartime conditions for so long that they have grown used to them, and barely consider them a hardship anymore. As a result Jandinians have a well-deserved reputation for being incredibly hard- working and tenacious. One of the 23 cities on the planet, Danar, suffered an orbital bombardment of the spaceport, followed by a massive ground assault some 3 years ago. Close to 900,000 HPL troops were landed, and after nearly 3 months of bitter tunnel fighting caused the FNA to evacuate the upper levels. The fighting in Danar has been an ongoing affair ever since, with neither side able to make much progress. The FNA still controls the massive railway stations, and is able to get reinforcements and supplies through them, while the HPL controls the starport, and is able to get reinforcements from off-world. It is much more dangerous for the HPL to reinforce its position than for the FNA, however, and it is likely that in the long run the FNA will regain the devestated city. Both of Jandin's moons have FNA naval bases and shipyards on them, and are extremely well protected. 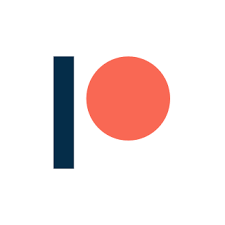 Capsule: Noqtin is the homeworld of the Noqtuar species, and was united under one government only a few years before colonization of the other planets in the system began in earnest. Before that Noqtin was home to many nations, and used to periodic warfare. For almost a century all of the Noqtuar were united , untill the Jandinians decided that they wanted their independance from a homeworld that cared little for it's colonies. Military retribution was swift, but Fanjin and some of the mining colonies in Dolduar voiced their support for Jandin. The war had begun. Soon Noqtin controlled only Zanquin, 6 of the lunar colonies of Hangin, a number of mining colonies in Dolduar, and the small northern continent of Fanjin. Noqtin likes to think of itself as fully self-sufficient, unlike the backwards colonies, and indeed it does come the closest of any of the planets in the system to truly being self-sufficient, however it does require shipments of raw materials from the colonies that it still controls to keep the mighty manufacturing centres of the planet operating at full capacity. Noqtin has by far the highest standard of living in the system, and natives like to think of themselves as superior intellectually, as well as in almost any other way that counts, to all of the colonists, including those that support them. This arrogance is perhaps the main cause of the current conflict. To this date the FNA has never managed to land any invasion force on Noqtin, although they have managed to perform a few unsustained orbital bombardments and bombing raids before being beaten back. A favorite FNA tactic when attacking Noqtin has been to insert small teams of infiltrators in the confusion of the raid in order to sabotage military and industrial targets, as well as gather intelligence. HPL military headquarters is buried deep beneath the capital city of Mysnar. The orbital shipyards are possibly the most heavily defended installation in the system. Capsule: The process of terraforming on Fanjin was begun over a century before the major thrust of colonization by the Noqtuar, and as a result, despite the heat, this is the most habitable colony in the system. The majority of the planet is given over to the farming of detwyn, a crop which was bred for the temperature and growing cycle of the planet. Most of the planet is controlled by the FNA, the HPL holds a small, fortified continent in the north which is usually all but cut off from the rest of the League. The continent, Compthea, was heavily populated by relatively recent colonists who were still very attached to the idea of the mighty homeworld, and they did little to support the war untill they recently declared their support for the HPL. Despite the fact that the FNA controls orbital space around the planet, orbital bombardment has proved difficult due to the 8 huge railguns that Compthea purchased from Lobic Arms which are fully capable of shredding virtually any ship which ventures close enough to fire upon the continent. This has not made the Comptheans immune to bombing raids and surface warfare, however. Compthea recieves very little support from Noqtin, but this will soon change since HPL high command has decided that Compthea would provide the perfect beachhead from which to conquer the breadbasket of Fanjin. Due to the fact that Fanjin is the only planet which is divided between the factions in any serious way, in recent years it has seen more conventional ground warfare than any other body in the system. The moons of Fanjin are home to some rudimentary shipyards which are truly only suitable for repairs, and not ship construction. These shipyards serve as muster points for the massive food and troop convoys which Fanjin regularly sends to the other members of the Alliance. Capsule: Virtually every large asteroid in the Dolduar is home to a mining colony/military base. Several small shipyards are scattered throughout the belt, most carefully hidden. At the beginning of the war 85% of the colonies in the Dolduar supported the FNA, but since then the HPL has slowly but steadily captured more and more of the colonies. The FNA miners have developed a reputation as the fiercest fighters in the system, and in most cases fight to the last man to defend their colonies, even when it is clear that they can't win, but they have been pushed back by the constant well-equipped HPL reinforcements that arrive from Noqtin. The HPL gets a large percentage of its ore from the Dolduar, while the FNA can rely on Jandin, so the two military forces have different priorities when it comes to the Battle of the Belt. Skirmishes in the Dolduar are almost constant, with small packs of vessels often playing hide and seek amongst the widely spaced asteroids. Minefields are common, and many of the smaller asteroids are home to automated sensor arrays for both sides, making any expeditions in the Dolduar risky at best. The Dolduar is also home to the system's base of operations for Lobic Arms. The corporation has taken over a played out asteroid as the local headquarters and research facility. The space around this asteroid, designated Alpha 1 by Lobic, has been declared a cease fire zone, and both the HPL and the FNA send regular delegations to Alpha 1. 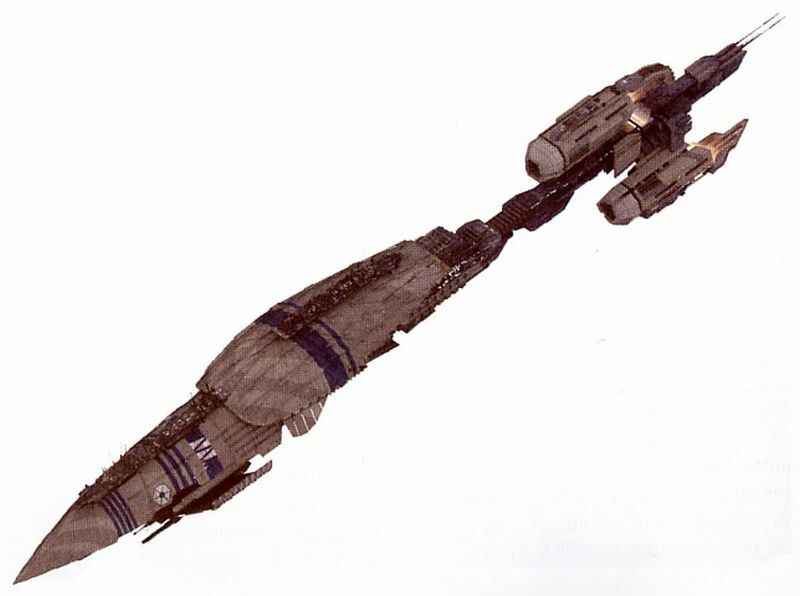 Despite the fact that neither faction seems likely to turn on Lobic Arms, their base is protected by a fleet consisting of 1 heavily modified Bulk Cruiser that has served as a testbed for many experimental weapon systems in the past and retains the most powerful of these, 4 Corellian Gunships, and 36 fighters, a mix of Gauntlets and Z-95 Headhunters. To the Noqtuar this fleet is certainly impressive, considering that the Gunships are the size of their medium battlecruisers, and the Bulk Cruiser dwarfs the largest ship either faction has ever produced. Even so the asteroid itself is well armed with all of the latest weaponry available, just in case. 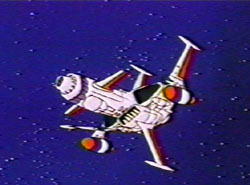 The hyperdrive capable starships have been modified so that a special code known only by the captain is required to activate the hyperdrive, and another code known only by the chief engineer is required to gain acces to the hyperdrive itself without causing the components of the drive to melt into slag. This is a precaution to make sure that the Noqtuar never gain access to FTL technology. Capsule: Zanquin is the only planet in the Nethin system other than Noqtin to support native lifeforms. Zanquin has a wide variety of flora and fauna adapted to its harsh conditions, although such life is sparse. About 95% of the food required to support the population is grown and hunted for on Zanquin itself, while the rest is brought from Noqtin in convoys along with manufactured goods and war materiels. Most of the population of the planet is concerned with ekeing out an existance, but the Zanquinians do manage to make a contribution to the war effort for the HPL in the way of low-grade gems which are mined on the planet, and pharmaceuticals culled from local lifeforms. The domed cities of the colony rarely come under direct attack, but the FNA has been attempting to either sway one of the cities to their side, or set up their own colony on the planet for years in order to take advantage of the medicinal supplies available. So far they have been unsuccessful, meaning that the HPL has a slight edge in medical technology. Zanquin is not a terribly important staging area for the HPL, but it maintains a sizable defense force nonetheless, for the sole purpose of denying the planet's medicinal resources to the FNA. Zanquinians have seen the least combat of any Noqtuar, and the conditions that they live under today in wartime are not terribly different than they were before the war started. Because of this the Zanquinians have a sort of detached view of the war, almost as if it doesn't really exist, or at least as if it wasn't really any of their affairs. Capsule: Hangin is a gas giant which has 7 inhabited moons. The moons, which are given number designations rather than names, are home to massive gas refineries. Gases which have some use industrially are collected from the upper layers of Hangin's atmosphere in specially designed ships and transported to these facilities, where they are processed and purified to be taken to Noqtin and Jandin, depending on whether the gases are collected by HPL or FNA forces. 6 of the 7 moons are controlled by the HPL, while the remaining colony, Hangin VI is loyal to the FNA. Most of the food required by the colonists is grown on the colonies through hydroponics, but significant food supplies must still be shipped to the moons. Before the war broke out there were limited mining operations on the moons themselves, but these have since been abandoned and all colonists now either work on collecting and processing gases, or serve in the military that protects the gas miners. All gas collection expeditions are heavily escorted since Hangin is very much a disputed zone, and neither side is above raiding the gas miners of the other. In proportion to their population the FNA has a much heavier military presence around Hangin than the HPL, since otherwise the single FNA colony would easily be overwhelmed, and the Alliance would be cut off from their primary source of industrial gases. Battles around Hangin are relatively frequent and usually surround the collection of gas, or the arrival and departure of convoys.